Preparing for the Miller Analogies Test can be daunting but, never fear, you have quite a few resources available to help! Pearson Assessments offers a short MAT study guide free for download in .pdf format. The guide is very forthright and succinct. It covers the structure of the analogies and a short discussion of how to solve them. It addresses the types of relationships the analogies represent as well as the content covered in the test. It ends with test-taking strategies and sample analogies for preparation. All of this important information is covered in 15 short pages. While it may be valuable, you might not feel prepared enough for such an important exam. Rest assured, there are many extra resources available to you. Several publishers put out very reliable MAT study guides that you may want to read. Barron’s and Kaplan both offer good information on how to identify the analogy relationships as well as offering practice tests. While they both cover similar information, they each have strengths that can be used to help you where you need it most. You can see the differences in this post “Best MAT Book-Barron’s or Kaplan?” to help with your decision. Check your local library for either or both before making the purchase. Free resources abound on the internet when it comes to practice tests. Some are from more well-known websites and sources but even more obscure ones can help with your test preparation. I cover several of these in the post “Top 5 Free Online Miller Analogies Test Resources”. 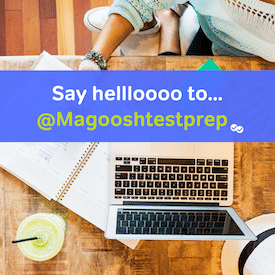 You will find other helpful tips throughout Magoosh’s MAT blog from preparing for test day to individual types of analogies to learning how the mathematical content is tested. We also cover the important area of vocabulary and how to use the available flashcards to your advantage. Whichever MAT Study Guide or other resources you decide to use will be helpful in preparing you for your exam day.